1) Star Wars Jewelry by Her Universe - It was actually the High Commander Cardigan I had my eye on, but while I waited for them to restock it in my size (now it isn't available in any sizes, and I really want it), I started looking at other products and ordered a shirt and some jewelry to console myself. 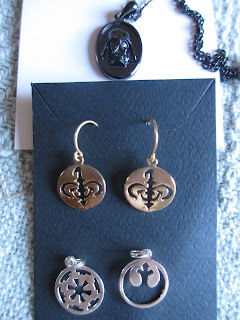 The Darth Vader Pendant Necklace was the expensive one, though it's quite small; I've been calling it my cameo (since I do have lots of antique and vintage cameos). 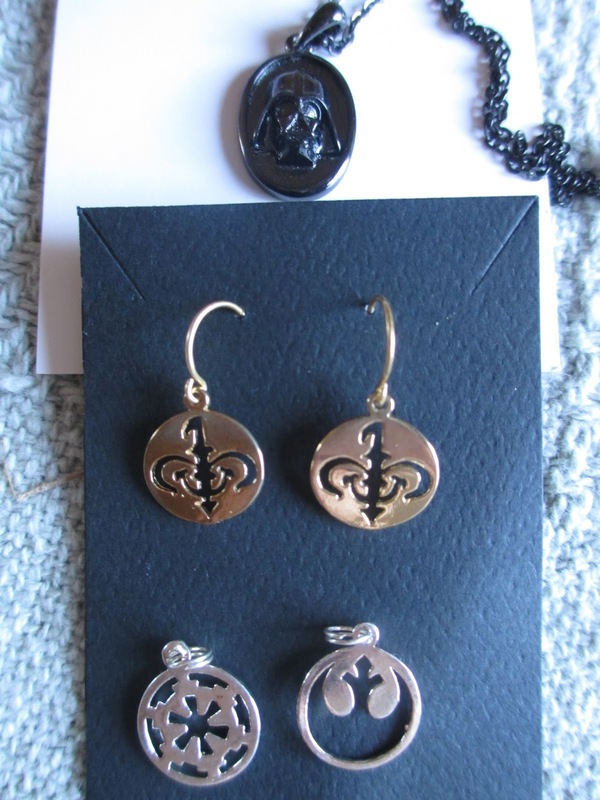 Then there are the earrings with the symbol of Naboo and two charms, one for the Rebel Alliance and one for the Empire. For wearing, I put them on a thin, silver, snake chain from Hobby Lobby; I like that they're so subtle that they're almost unnoticeable--and even then, only people in the know will recognize them. 2) Zhena's Gypsy Tea in Vanilla Chai - Maybe summer isn't really the time for chai tea, but it's worked out rather well: at night, it makes for a lighter alternative to hot chocolate. I don't know if I get major vanilla flavor from it, but it's definitely a sweeter kind of chai; it's good. Oh, yes, and I've been thinking about tea lately. Most of the tea that I buy is both organic and fair trade, and so I started thinking that I should make it a point to continue buying tea that is one or both of these. Every so often I'll buy tea that isn't, and I should probably stop. I will make some exceptions: when I'm in San Diego next time, for instance, I'll want to buy some tea from Coral Tree Tea House and I don't think it's marked as anything. But in general, I'm going to make this a more conscious than accidental choice to choose organic/fair trade. 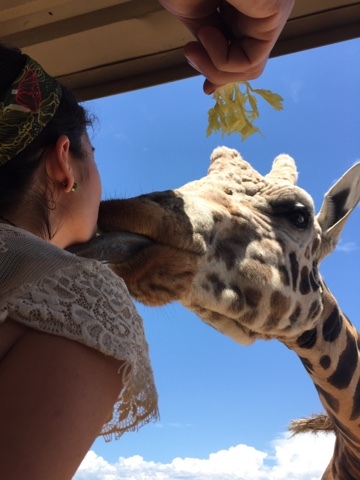 4) More Out of Africa - At Out of Africa, there is a safari ride that is included with admission: you ride through the Serengeti and see different animals up pretty close and you get a piece of celery to feed the giraffe. Most people use their hands, but the guide always puts it in his/her mouth and encourages everyone to do the same; they call it kissing the giraffe. And I was beginning to feel almost silly that I've never done it, so the last time I was there was the day to kiss Pilgrim the giraffe. 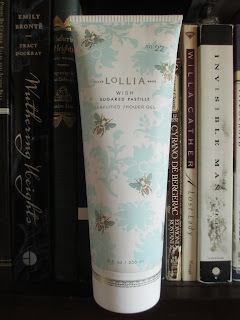 5) Lollia Perfumed Shower Gel in Wish Sugared Pastille - Wish is one of my favorite perfumes, along with Happ & Stahns Rose Alba. 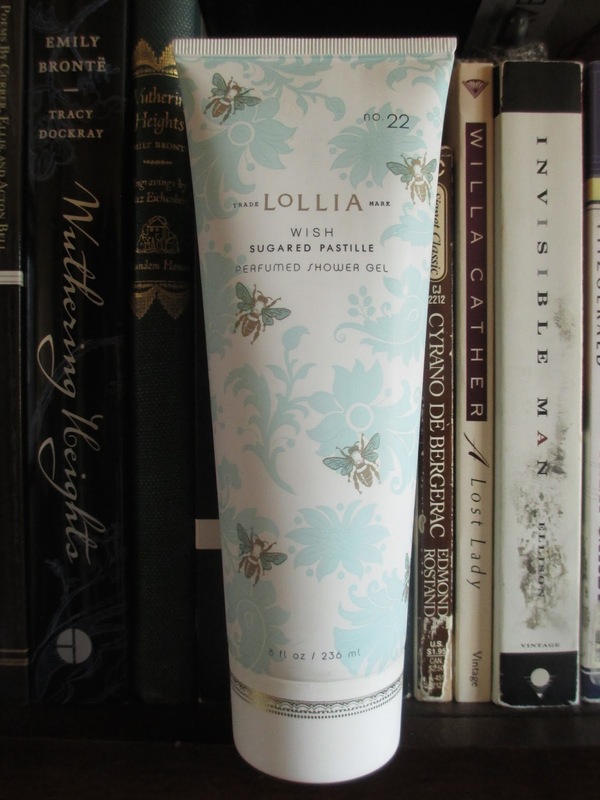 This shower gel smells exactly like the perfume, making it just lovely. (Side note: it doesn't really work as a shaving gel, which is often what I use shower gel for--in case you were wondering if it did.) I only wish the bottle opened better: it only has a screw top, which makes it a tad messy to open and close. 6) Star Wars: The Clone Wars - Did anyone else watch season 1 of Star Wars Rebels? It was pretty good, right? So I felt inspired to go back and watch The Clone Wars on Netflix; it maybe isn't as good (judging from season 1 only), but I think it's getting better and it does have some good moments and I'm quite enjoying it. I can see why people love Ahsoka, and I can't wait to see what exactly happened to her. 7) Queen Bee Shirt - Did you know that people are killing bees? So many of the things we use, pesticides and GMOs, are harmful to bees and will literally leave them dead all across the ground. Maybe you've heard all this before, but I hadn't really known it was so serious. 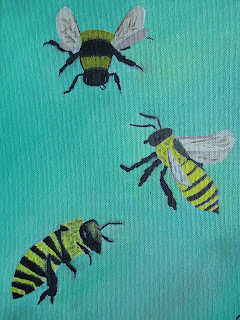 Let's save the bees; really, the world is much better with them. 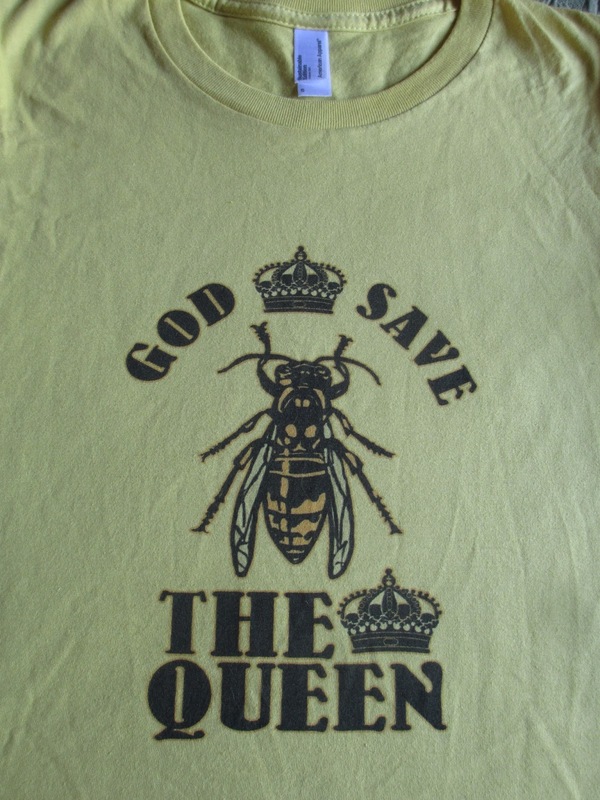 I went on Zazzle and got this shirt: the design was already there, I just chose the Organic cotton t-shirt and the yellow color. Find one you like and wear it to help spread the word and think about the choices you make when you buy food, fabric, and plants. 8) Classic Doctor Who - I've also been watching more old Doctor Who episodes again; I just have one more set of episodes with the Second Doctor, and I'm going to be really sad when he leaves. I'll post my thoughts soon after I finish these last episodes (by soon I mean in the next couple weeks). 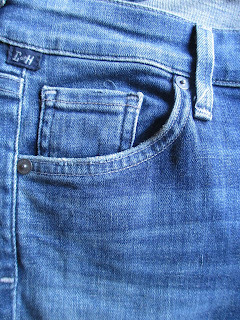 9) New Jeans - It had been five and a half years since I got a new pair of jeans (just some pants), and I've never had a pair this nice (the last ones I got were from Ross). 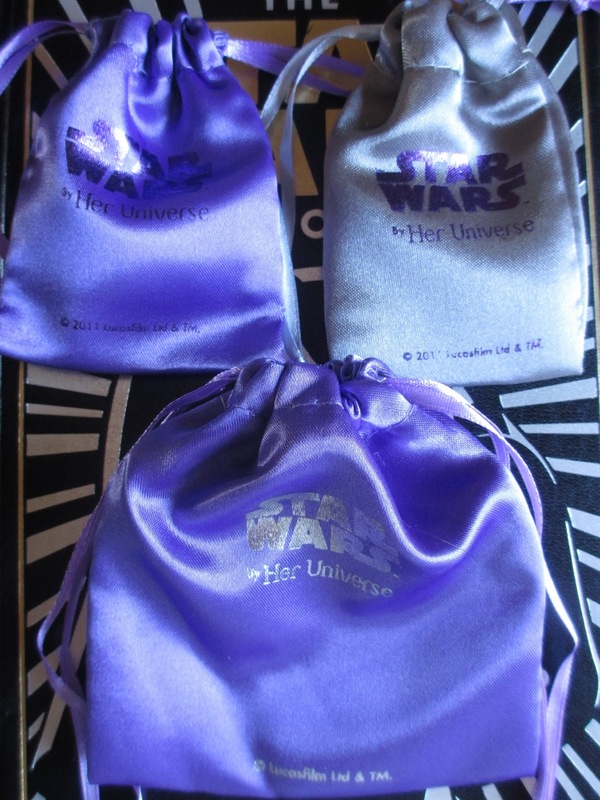 I'm super excited, which is why I had to share them. These are from Anthropologie; they're the Arielle style from Citizens of Humanity. And guess what? They're petite! That's right, the Anthropolgie where I usually go now sells petite sizes, and I am so excited about that. I was able to walk in and find a pair of jeans that actually fit, length and all. I can't describe how amazing that is. Maybe that's why I hadn't bought any jeans in a while: I was so tired of them fitting seven or eight inches too long. 10) Painting - I like to paint in oil every so often and it had been a while. 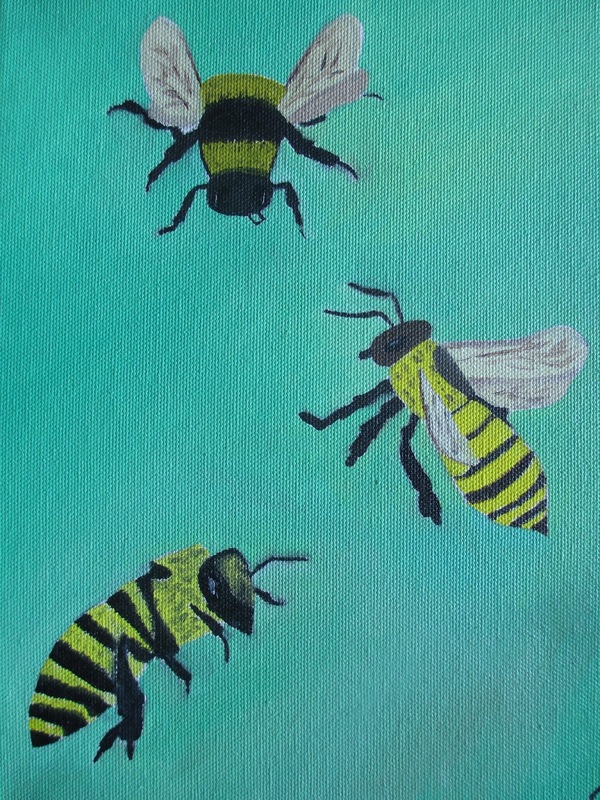 My venture back in was painting these three little bees. Just ignore the fact that I accidentally painted over one of their wings: I'm waiting until the background paint dries enough that I can paint the wings over it. I may have first realized how sad Revenge of the Sith is when I tried watching the prequel trilogy before the original trilogy instead of vice versa--I found that order much more tragic: it makes you realize how Anakin just threw his life away, even if he comes through in the end. 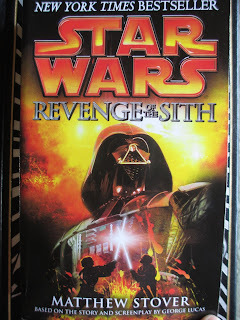 So to spend 450 pages reading of Anakin's transformation into Darth Vader, well, that was sad. In the movie, it's a beautiful sad because there are cool visuals to look at and sweeping music to draw you in; in the book, however, you're left with a more stark and bare expression of Anakin's decision to enter the darkness. There's certainly more detail in the book. When you watch, you basically just see Anakin's fear and anger and his decision to turn to the dark side; when you read, you see every moment and every detail of what that decision, and his journey toward it, means. Particularly compelling is the explanation of how turning to the dark means focusing on the self and opening up the self--Anakin focused on himself so much that he lost the other people he did care about and he opened himself up to so much that he let the darkness overpower what was good about him, although of course that was his intention. In general, I don't think the writing style of this book was my favorite. There was something almost detached about it at times, something that didn't let me soak into the characters' emotions as much. It was like there were descriptions merely for the sake of descriptions. Though this isn't to say that there weren't some really wonderful lines or moments. The snippets before sections that describe the dark were interesting, as was the way that Palpatine was described. There is such a smoothness to the way that he speaks, that gentle nudging that the darkness in him so suavely gives: Evil, the ultimate politician, eh? (I don't mean to bash politicians in general; I'm only referencing the general idea that politicians know how to smooth talk people to get them to change their minds about something.) And the way that he's often described as a shadow made him downright creepy. I liked this book in general, but not as much as I thought I would. It took me longer to read and really was a tad depressing in many of its pages (although I suppose that isn't to be avoided). I think after this I will read some of the canon books from last year and this year; later, I might read some of the older books--we'll see. But I can't promise how long it'll be as I don't even own any of the other books right now and I've had a lot of other things stacking up waiting for my attention. I can see why The Wizard of Oz was the perfect film for the Great Depression era, to help lift people's spirits--and why it continues to be a part of American mythology. It's a musical, it's a fantasy story, and it's a story about the creation of space. This movie is all about creating your own reality, not in the sense of separate spheres of being or anything strange like that, but in the sense of creating your own space. It's the idea of knowing what is good and promoting that instead of focusing on or being distracted by other things. The Oz of the film is very much an outer representation of Dorothy's reality: her friends from the farm are there (as a lion, tin man, and scarecrow), her enemy is there (in the form of a witch), and her need to stand up and realize what is important to her and what she has to do to keep it is there. Her journey is realizing what in her life is good, and her action is deciding that she will uphold what is good. She can love her home because she realizes that she cares about all of the people who are in it--and that is what makes a home lovable. The Wizard of Oz, despite taking place after the pioneers, is thematically very linked to the American pioneer spirit--which still persists today, though in different forms. People who moved into the prairie and into the West were moving into new spaces and making them their own. They came with an idea of what their lives could be and of what these spaces could be--and though they weren't all successful in all of their ideas, they did succeed in shaping ground into homes and setting up cities that remain in place many years later. I guess I've been thinking of this concept lately: that there are so many negative things (small things or big things) that are so easy to talk about and complain about and pick on, but that what we really need to be talking about and focusing on are the good things. Now, I'm not saying that we ignore problems; I'm just saying that in order to make things better (and this can be anything from clothing to world peace and anything in between), we need to talk also about what is good and what can help. We need to create our own spaces: we need to remember how fluid things are. We need to remember how much of an influence our every word and every action has. Do we want to have a negative influence or a positive one? Do you love your home, Dorothy, and do you want to love and cherish it, or do you want to just try and run away and let it be abandoned? After our fairly cool Spring, it looks like we're plunging straight into summer with three digit temperatures this week--and it's supposed to be 108 on Saturday. The top for this area is usually only about 104; temperatures approaching 110 are rather disgusting. 100 is fine; it's just hot. But close to 110 is when you step outside and instantly feel exhausted. 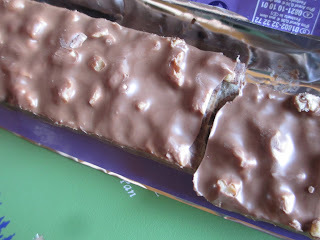 So it is during this approach of warmth that I decided to break into a Milka bar that had been waiting for me. You see why this isn't a good idea? The milkier the chocolate, the quicker it melts--I can't seem to even touch this one without it melting right into my fingertips. (And, no, I'm not too interested in putting it in the refrigerator.) Oh, well, I suppose I can manage. When there is hazelnut chocolate involved, I'll manage. That is, hazelnuts, chocolate, and wafers--oh, that's plenty to get my attention. I suppose the name of this bar is Nussini--it's "wafers with hazelnut cream filling covered with milk chocolate." 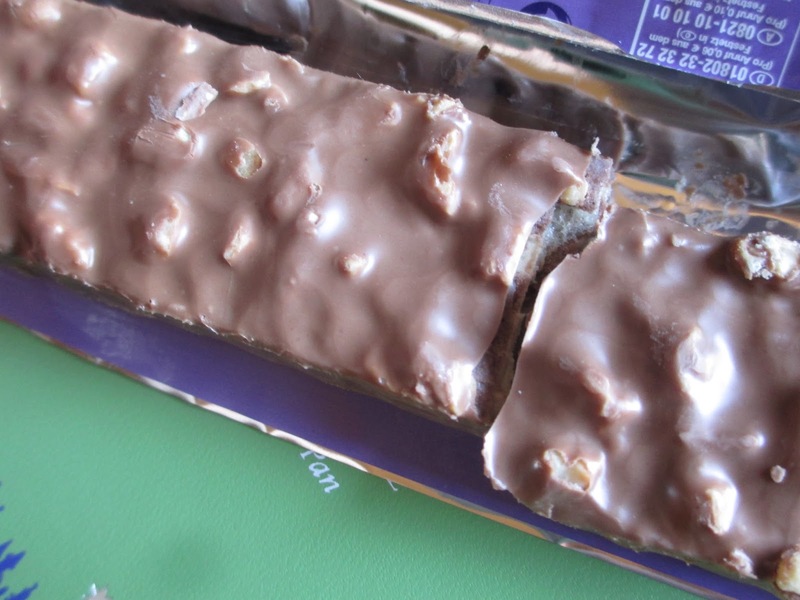 As you can see, not only is there hazelnut cream, there are also some hazelnut pieces on top of the bar. So this is a crunchier candy than a KitKat, and there is plenty of hazelnut flavor. It's the hazelnuts and wafers I would go to this bar for, but it's also worth noting that I like Milka's milk chocolate, too. If you want a casual milk chocolate, do go for their plain milk chocolate; it's good. So the chocolate that coats all of the wafers here is also acceptable. Maybe I also appreciate that it isn't too thick: there is enough of it but not so much that the candy becomes greasy or overly sweet. It's the right balance of elements. These are all brief comments, but this is just a candy bar and there is generally less to say about a candy bar. 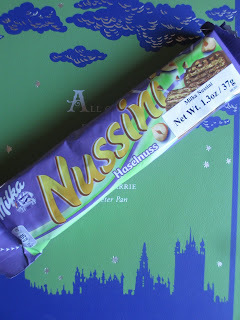 All that I can say now is that this is a candy bar after my own heart: decent chocolate, wafers, and hazelnuts delivered in the right amounts. I would definitely buy it again and definitely prefer it to a lot of the American candies. I tend to think that Episode II: Attack of the Clones is one of the weaker of the six Star Wars movies, though I do also think it has some important moments as far as theme and characterization go. Yet when I came to reading R.A. Salvatore's novelization of the movie, I found it quite good. Somehow this part of the story works out very well as a book, softening and/or explaining some of the rougher edges of the movie. There is really quite a lot of ground to cover in Episode II and there are so many plot lines and two-sided character motives and multiple layers of Darth Sidious's plans going on that it takes a while to understand what all of that is--so until you understand all that, what you're left with in the movie are just random action sequences and the cheesy scenes between Anakin and Padme. Now, I'm not complaining about either the action sequences or the cheesy scenes--I think they both make sense within the context of the story and the characters; they're just harder to accept until you understand everything that's going on. So. It's easier to see and understand everything that's going at this point in the story when you read it in a book versus watch it in a two hour movie--and that allows you to better accept and enjoy each scene. Wow, that was a long-winded statement of mine. Everything in Attack of the Clones demonstrates something about character or theme and this book expertly adds to each scene or adds in new scenes that help you to see that and help to smooth out transitions between or into scenes. You see a little more into the heads of characters to pick up on nuances you may have missed. You get explanations for things you may have wondered about--like seeing that other characters did notice what was going on between Anakin and Padme or getting more of a look at who Count Dooku was and is. 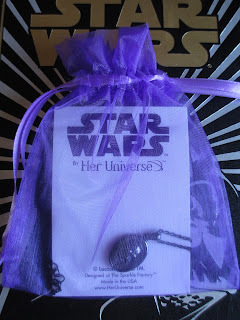 I think a big one is also seeing Padme's perspective during these events: the movie's a little more focused on Anakin, so you sometimes do wonder what she is thinking at certain times or how she transitioned into the choices she makes; this book gave a good look at her character. I don't know; I guess I just really enjoyed this book and was even a bit surprised by how much I enjoyed it. I even, for the most part, enjoyed the action sequences--the writing is probably to thank for that. My enjoyment must all go to show that, yes, I did make a very good decision to begin reading Star Wars books: I was ready for this next step. (By the way, Sylvia, my bearded dragon, is also quite the fan of Star Wars--here she is hanging out with Darth Vader. And, yes, he does usually sit on a quilted cushion (he's too tall to fit on the shelves of my bookcase); if you think that is degrading, think of it as his punishment for his life of evil). I've had this thought going through my head. I was thinking back to The Chronicles of Narnia, thinking about how The Lion, the Witch, and the Wardrobe is the most recognized of the series and how The Voyage of the Dawn Treader was my favorite at one point and The Horse and his Boy at another. And how nobody seems to name The Magician's Nephew or The Silver Chair as their favorite (well, not many people name The Horse and his Boy, either, but I think that's because it's the only of the seven books to not take place at all in Narnia and so it's in less familiar territory to readers). Thinking of the atmosphere of the stories, it's as if MN and SC take place in a more mythical, thematic, and moral ground from the other stories. HHB has some of the deepest spiritual moments, too, but they're brief and the rest of its form is just an adventure story with lots of walking through the desert. Yes, LWW and LB (along with MN) contain the most recognizable hmm, analogies or re-imaginings, if you will, of Biblical stories, but LWW and LB are at the same time just fun fantasy stories. There are themes and imagery in there, but there are also sword fights and battles and fantastical creatures and talking animals and all that. MN and SC are more stark. MN takes place largely in our world, which may also be one of the reasons it is less liked. And SC is, well, kind of depressing. It's all about characters failing to do what they're supposed to do and what they know that they need to do. They make it though in the end, but not without consequences. And seeing their failure I think reminds us of our own failures. Which kind of brings us back to MN, which is the telling of how evil entered the world of Narnia, as it did in our world. So in thinking of these things, I wondered if it is selfish to dislike MN and SC. Do you see what I mean? LWW tells (among other things) the story of how Edmund followed the White Witch and then was saved by Aslan; that's a story of redemption, and forgiveness is nice to hear about. But MN and SC have characters who are good and who mean well but who still fail--and that's hard to read about because we know that we, too, fail. Yet shouldn't we be glad to read stories like this, reminders of how easy it is to fall back so that we can perhaps do so a little less often? Shouldn't we like MN and SC for what they teach us? Ah, but there is the thing: we don't want fiction to teach us. We want fiction to entertain us. So that made me think of the meaning and rights of entertainment. For instance, I tend to say that I like movies for entertainment when I'm trying to avoid watching what I know will be a sad movie--something about war, perhaps. And yet I like movies like Amazing Grace (which is the story of how William Wilberforce fought to end Britain's slave trade--it has both sad moments and a message about fighting for what is right even when it is not popular to do so). So is it true that I don't want to learn anything from fiction? Not really. At the same time, I don't want fiction to be trying to teach me and yet I do want to be able to learn from it. Strange, yet I think that's how most people feel, if they think about it. But I also wonder what is our right, as the reader or as the watcher, to demand from entertainment. Entertainment, by its very nature, is designed for relaxing. So it is our right to demand fiction that demands nothing of us but our time: fiction we can go to simply to enjoy imagining another place, another time, or another set of (fictional) people. That's okay. It's okay because there is also plenty of fiction out there to teach us things: we don't need it all to teach us. So if MN and SC are less popular because they're less fun to read, well, I guess that's okay. I'm making some progress, eh? Having started with reading the novelizations of the original trilogy (just in time before they release the new books later this year), now I'm on to the prequel trilogy. 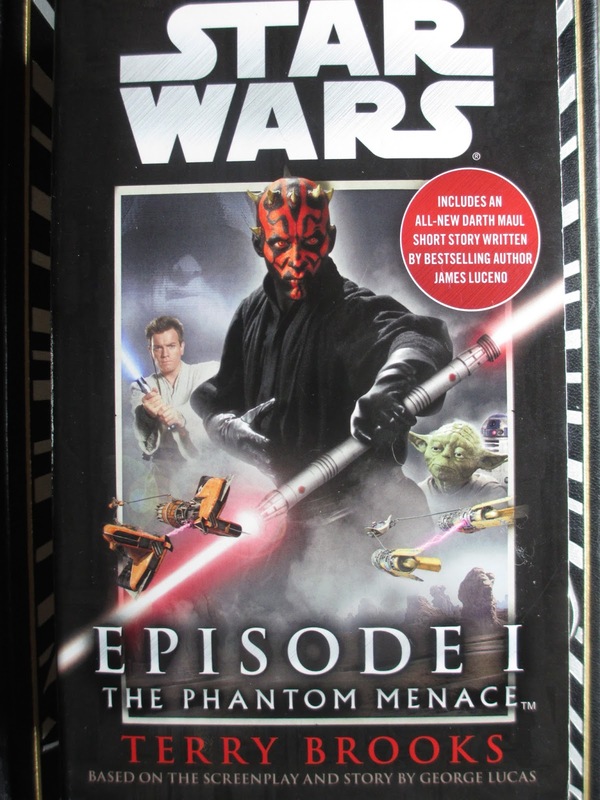 So here we have Episode I: The Phantom Menace, in the cheap paperbacks of sci-fi and fantasy that I do wish I could avoid. I really think that might be part of the reason why I don't read more in the sci-fi and fantasy genres: I don't like these paperbacks. Anyway. 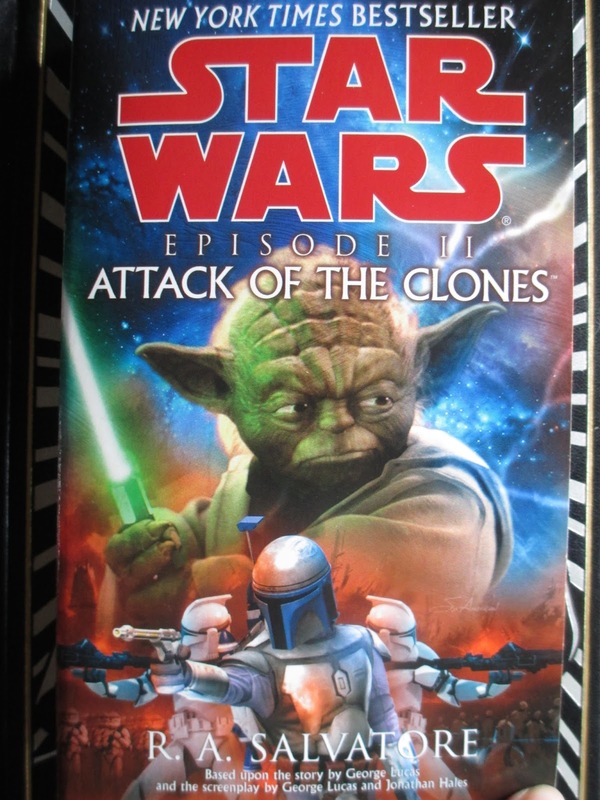 By the time I got to this book from the late 90's, the writing style was much, much improved from the first Star Wars book: it's better and it's more recognizable (both in terms of style and in terms of the references to things, places, and characters in this story's universe). Terry Brooks really did a great job at honing in on what is important from Episode I as far as the story arc of the whole trilogy (or even both trilogies) goes. 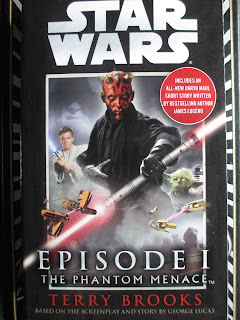 Though the movie focuses much on Qui-Gon, this book focuses more on Anakin and somewhat also on Obi-Wan, foreshadowing the relationships and events of the future. There are also many more hints about Padme's identity and more development of her friendship with Anakin. Where it's possible to watch the movie without realizing just how "special" Anakin is as a boy, this isn't something you can glance over in the book. There are many extended or added scenes that help add to what was in the movie: it's all done in just the right amount. There's also a lot of detail in here, describing the characters and the politics and the battles--I found myself less interested in the battles and all. 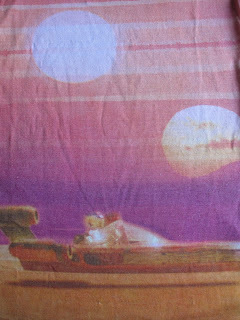 So my favorite scenes were probably on Tatooine (I suppose I do love Tatooine). It's there that so many of the major plots and themes are born, with character relationships beginning that will shape the next five installments of this story. Yes, it's all about Tatooine. I suppose I didn't love reading this book quite as much as Return of the Jedi, but I enjoyed it for what it does offer. The reading of these books is a very interesting exploration into new territory for me. June means summer, and World Market has their summer things up. I love World Market and while I enjoy browsing the displays for Thanksgiving, Christmas, Halloween, Valentine's Day, and Easter, I'm not usually overly fond of the summer displays (minus the Fourth of July things, of course). A lot of bright colors I don't like and barbecue, picnic, or patio items I don't need. Then sometimes they have the Hawaiian section with a couple of food items that don't appeal to me at all--except for when I spotted some chocolate in there. I always want to try new chocolate, and Hawaiian chocolate is new to me. (There are some pretty nice cacao plantations in Hawaii these days--it's worth looking up and reading about if you're interested.) This little circular tin is made by Crown Aloha, which is based out of Honolulu. I'm not certain, but I'm guessing that they buy their chocolate and then make it into these flavored sets. While pineapple chocolate sounded a little questionable to me and I almost got a different flavor instead, I convinced myself that if I was bothering at all, I'd better get the pineapple kind. Pineapple chocolate--that's definitely new to me. Inside the yellow tin you'll find eight triangles of chocolate; underneath them is a sheet of paper to separate them from one more set of eight triangles. So it all comes in to a full 100 grams. There was a tad of bloom on my chocolate, presumably because it had a long journey to get to me (most chocolate does, but I suppose the trip from Hawaii is a little more complicated than trips solely by land). Curious, I broke a piece apart with my fingers, finding a golden filling almost like a stiff caramel. There seem to be three narrow tunnels in each triangle that hold this pineapple filling. Besides looking like caramel, it also tastes somewhat like caramel, even a tad salted. So then I glanced at the ingredients and saw that it is listed as pineapple caramel. Hmm. I think it would have benefited this chocolate to be labeled as containing pineapple caramel on the front--that way it looks a little less intimidating to people cautious about trying a new flavor in chocolate. After all, pineapple chocolate might just as easily have chunks of pineapple in it--and that would certainly appeal to me less than pineapple caramel. First you taste some of the chocolate and some of the caramel, quickly followed by the slight saltiness; the pineapple follows in next and finishes off with the last remnants of chocolate. And it doesn't taste at all odd to have pineapple in the chocolate: I probably, in fact, prefer it to citrus chocolate. A tad sweet, a tad fruity--that's what the pineapple is and that works just great for chocolate. This is 70% dark chocolate and it's decent quality. Nothing spectacular but certainly much better than a lot of chocolate that circulates these days: it even has a little bit of flavor to it. So I am very pleased that, whether this is chocolate from another company or their own, Crown Aloha has decided not to skimp and use very cheap chocolate. I find myself rather pleased. I was excited to try something new but also half expecting not to like this chocolate. Instead, I find that it is rather nice and is in fact a good summer chocolate. It's definitely worth trying. I didn't exactly want to post on this book (which is Extraordinary Means by Robyn Schneider) (I don't post for every book I read, after all), but I wasn't certain why. I think that reading it has felt like a very personal experience and talking about it in any sort of vaguely public way just feels . . . not like something I want to do. But then talking about what I liked or disliked, what I felt like when I finished the book and what I took from it, that's where it gets hard. And I suppose that's okay. Because I think this book started with an interesting concept and then transformed into something more than that concept. It isn't a book about disease or the possibility of dying or being under quarantine--it is, technically, but it's something else, too. I don't know. Maybe it's because I just read Divergent a couple months ago and it's still much in my mind, but I feel like there's a strain of thought or emotion that I got from that trilogy that I got from this book, too: you know how it is, when you were reading so many thoughts and questions about living and the choices we make and also the places where that trilogy took the reader and where the characters chose to go. It's kind of like that. This almost weightless place that exists in everyone's mind at some point. This place where we wonder who we are and realize that every choice we make about what we will do affects our entire lives and every bit of our lives matters and forms the people that we are. When you think like this, it's like time doesn't matter and all that matters is what we form. I know this is hardly a book reaction--but I think that's okay. Maybe something like this is more likely to get you interested in reading this book. Oh, yes, and one more thing that might be good to note: despite all my philosophizing, I wouldn't call this a depressing book. So if you're worried about that part, I think you'll be fine. Yes, there is some sad material, but there's also a very specific balance of humor and enough of the themes about life in general that . . . I think there are other books that are sadder to read. This one is too weightless (in a good way) to drag you down.